Decorate unglazed white ceramic shapes with paint, tile, gems, pictures, decoupage or any trim you'd like (decorating materials sold separately). 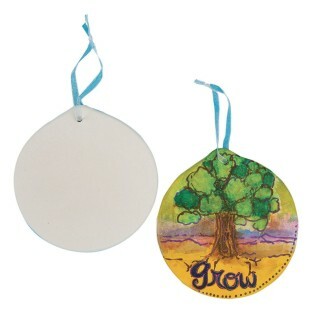 Each shape features a hole and includes a ribbon for hanging – perfect for ornaments! 4-1/8" diameter x 1/4" thick.